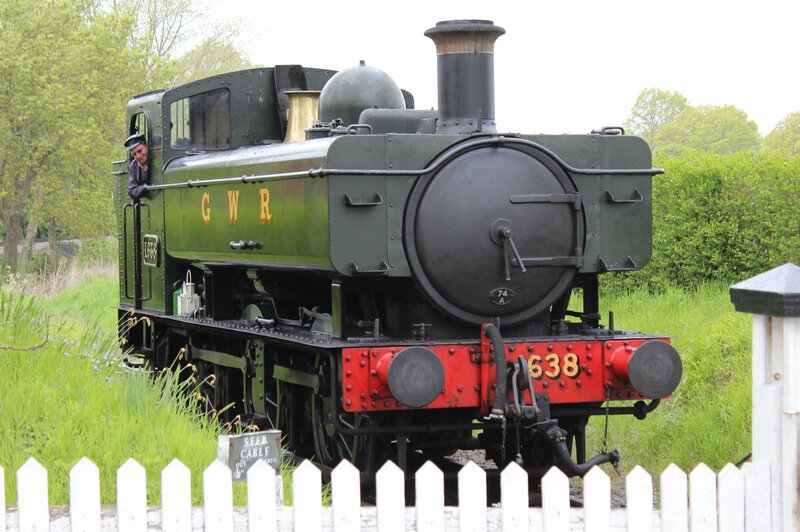 Tonight we are looking at another locomotive in the Bigjigs Heritage Collection in the form of pannier tank 1638, based on the sole survivor of the class to be found on the Kent and East Sussex Railway. 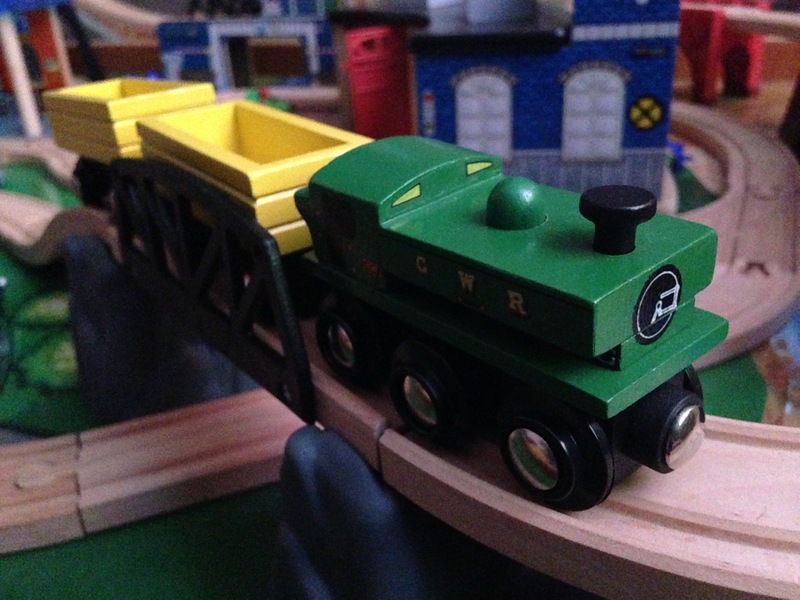 In terms of getting the outlook and overall looks of the locomotive prototypical, Bigjigs does well, as their version correctly represents the distinctive shape of the pannier’s tank. 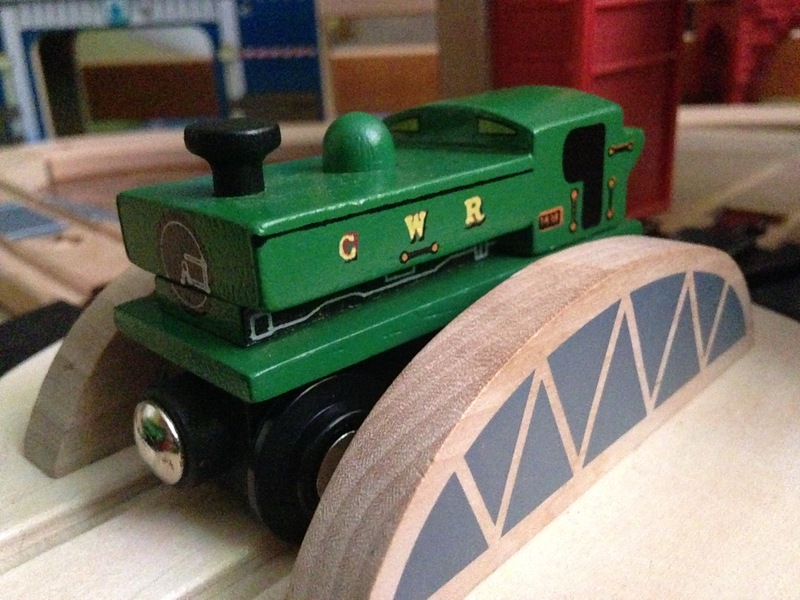 1638 has the correct 0-6-0 wheel formation and has the chimney and steam domes in the correct locations. The only downside in terms of the outline is the missing safety valve between the steam dome and the cab. In terms of capturing the details of 1638 the wooden locomotive does brilliantly, as the train features details you’d find on the real life locomotive. 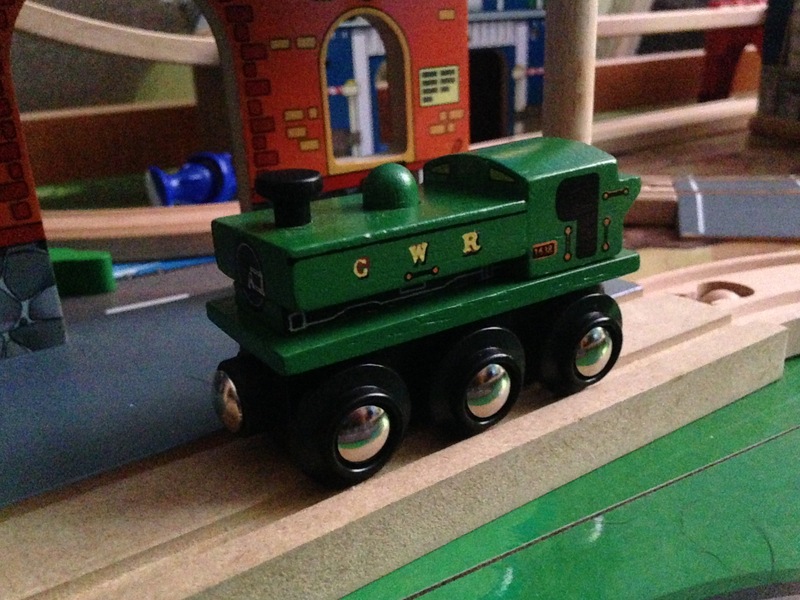 It has crisp lettering and numbers on the side of the water tanks and cab, handrails in the all of the correct places, windows on both the front and back of the cab and a smokebox door on the front. The biggest surprise was seeing some of the pipework between the water tanks and the running plate being represented. 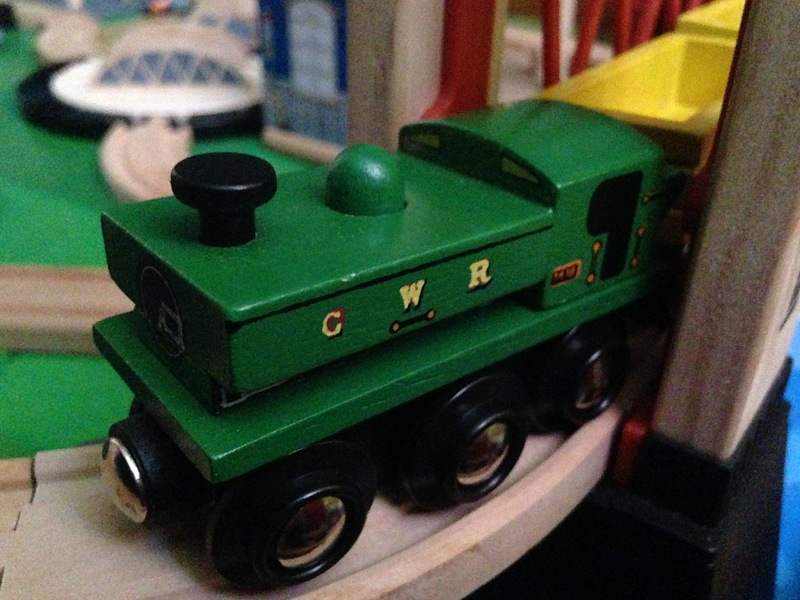 The only small blemish I could find was the cab roof being green and not black. 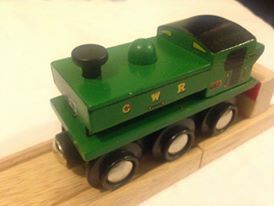 The first part of this review was looking at the model from a railway enthusiast’s viewpoint, as a good percentage of people buying these trains will be granddads or dads (like myself) who are enthusiasts and want something a bit more special than the typical generic wooden trains you usually find on the market. The next part of this review is a bit tricky because as I am a 27-year-old man, I felt I wasn’t the best judge when it came to play quality and durability. This meant I had to call in not only my 5 and 1-year-old kids, but also my 8 and 3-year-old nephews to test the locomotive. In order to get a fair overall assessment of the play quality I gave the locomotive to my kids and nephews for a week and then asked what they thought. 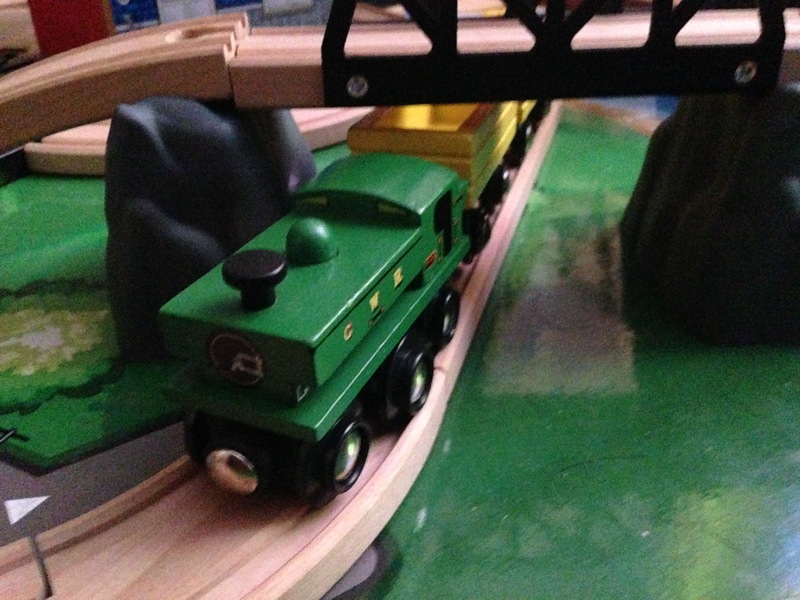 Like Ironclad, the locomotive features a magnet on the front which increases the amount you can do with a train. Seeing 16xx class locomotives double heading, shunting and running backwards was common place when the real life locomotives were in service, so it is good that BigJigs have factored this into the model. Another thing they mentioned was the locomotive handled some of the tighter corners and bends in the track better than the bigger locomotives in the range. During the testing of 1638, my 1-year-old gave a really good go at breaking the train and it amazingly survived! After being thrown around and quite a bit of rough play it was without fault. Being a tenderless engine we had the added benefit of not trying to find the missing tender at the end of the day too! Rather impressively the locomotive actually beats the final score of the L&YR 957 model which I thought would never be beaten. Bigjigs have done a great job in getting the looks of the locomotive correct and the impressive final score is a testament to that. This locomotive is correctly on sale on the BigJigs website and for that price its absolute bargain. With the only blemish I could find on the locomotive being the green roof it was an easy daddy and daughter project to improve the locomotive. A quick lick of black paint on the roof and 1638 became faultless and a welcome addition to our growing collection.